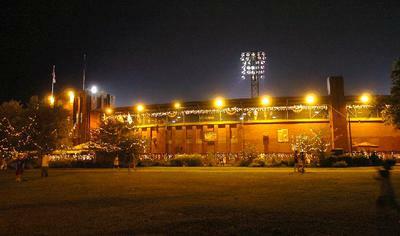 Bosse Field like, almost every stadium built at the time, was born out of necessity. The previous, All Wood, stadium experienced a catastrophic failure when the East stands of the Louisiana Street Grounds collapsed and over 40 people were injured. 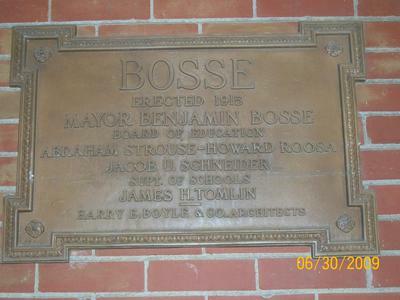 The very next day Mayor Bosse announced the plans to building a new Ballpark which became Bosse Field which opened on June 17, 1915. 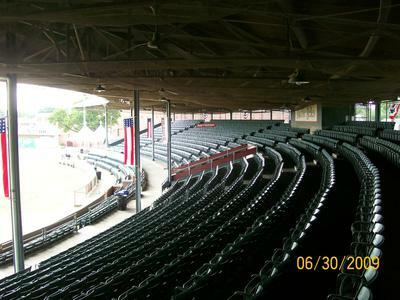 Bosse Field was one the first professional stadium to make the conversions from Wood construction to Concrete and Steel. The original stadium didn't look as it appears today. The now brick exterior was covered with stucco and would not dawn its current appearance until renovations were performed in the 1930. This is the third oldest baseball stadium in the United States. 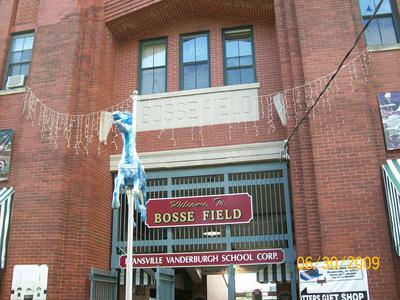 Bosse Field, is a baseball stadium located in Evansville, Indiana. Built in 1915, it is the third-oldest ballpark still in regular use in the United States, surpassed only by Fenway Park (1912) in Boston and Wrigley Field (1914) in Chicago. It is the current home of the Frontier League Evansville Otters, a minor league baseball team. The Otters franchise came to Evansville in 1995 and have attracted a record number of fans for the league.1 In 2006 the Otters won the Frontier League title. Nice information about sports. I really like it but i want to say that guys you should update your new post because i am still waiting. At the end just i say "A plus sports truly great post every point of view. Very nice website about sports,you have posted very useful information which is good to read. Baseball has always been my favorite game. I like playing baseball because i am really good at batting. i usually hit a home run. Bosse Field Thank you for the information . I have such a primitive earth never even realize . The event will take place in a field I wonder , by the way , soon waits visitors. Thank you for the information about the Bosse Field. I never realized until now that it is such an old ground. Looking forward to visit it soon, by the way I wonder when will an event be taking place in this field. pure skill I like this work. Great piece of knowledge shared here. Berta, I would love to discuss an advertising arrangement with you. With that being said please understand I try my best to limit advertisements on my site out of respect for all of my followers. My site is an information site and all of the content that I offer here is absolutely free and I will always stay true to that format. My readers love Baseball and that is all I speak to. I would ask that you reach out to me offline and we can discuss what I feel would be appropriate to expose to my followers. They are reason that I do what I do and I endeavor to do nothing that will offend or make them uncomfortable when visiting this site. Email me at cbenn87096@verison.com and lets talk. I see that you are a professional in this niche, so, may I ask you do a favor for me? Could you help me place some ads of my It will be great if I could suggest some guest posts or banner ads, if it's possible - answer me here, please! p.s. I will pay for your help good money, I really love your site. Thank you! Thank you Robin for your quality contribution, I have taken the liberty of attaching an image for all to see. Join in and write your own page! It's easy to do. How? Simply click here to return to Wooden Baseball Parks.